DIVINE CHRISTIAN GIFTS - The Holy Family Hardback Children's Book. The Holy Family Hardback Children's Book. 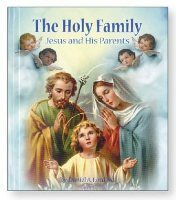 The Holy Family color illustrated hardback children's book. Book Size 5" x 6" 30 pages.